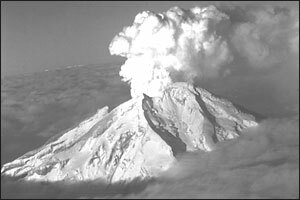 The “eruption watch” continues at Redoubt … Saturday revealed that things are getting hotter at the summit near the 1989/1990 dome (see picture above that made Redoubt famous in 1989). 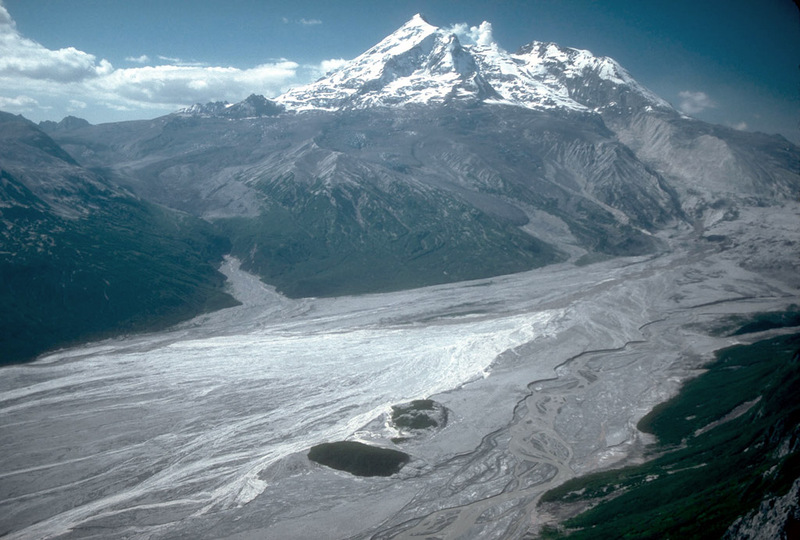 The overflight of the volcano revealed new holes in the summit glacial and a multitude of muddy streams formed from the meltwater. This area of very intense fumarolic activity is just below the 1989/1990 dome (~7,100 feet) and has been growing over the past few days. They also report an area at ~9,000 feet on the volcano that shows signs of ice collapse, indicating heat from underneath the snow and ice (similar to what was seen at Mt. Saint Helens when it reactivated in 2004). “Geologist Jennifer Adleman said magma is a combination of three phases: liquid rock plus a gas and crystals than can form sort of a froth that works its way up the mountain. Now, I’m not certain what Adleman is referring to in her quote, but I’ve never heard of the frothy material as a “crystalline mush”. Not to say that is an inaccurate description, but usually mushes are referred to when the magma is at depth in the volcano. This is more like a foam, with the liquid and crystals entrained in a magma that is packed with bubbles that form as the magma decompresses. If those gases get bottled up before the volcano erupts, you could get an explosive such as what happened at Mt. Saint Helens in 1980. 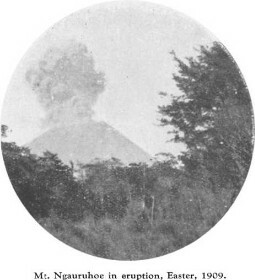 If not – if the gases are allowed to be more passively released, lets say if the magma stalls as it comes up – then we might get the toothpaste-style eruption we saw in the most recent Saint Helens activity. I am surprised as anyone how the public has become captivated by this geologic drama unfolding at Redoubt. Headlines about the volcano are popping up everywhere from CNN to the MSNBC to Slashdot to Popular Science – yes, even the nerds are enthralled, which might be the reason that the AVO servers are overloaded today (and that Eruptions has set new records in visits each day for the last 4 days). The stories are pretty typical: everyone is preparing/panicking, the volcano might have a giant eruption, and so on. This is rapidly becoming the most eagerly anticipated (is that the right word?) eruption in the US in the last 20 years. However, even with all this attention, there is little change in the status at Redoubt: AVO says that the volcano is likely to erupt in the next “days to weeks” with all the telltale signs there: increased seismicity, increased gas emissions, evidence of increased heat near the vent. So, the wait goes on. I wonder who will get the first interview when the volcano (see above photo, thanks to Brandon Browne at Cal State Fullerton) decided to erupt (if it does erupt at all). Sounds like they could be thinking we’re entering the final phase. Stay tuned! Now, talk about sensationalizing a potential eruption. Sure, there is that chance, but along the probability tree (pdf link) for eruption at Redoubt, “burying Anchorage” in ash might not be one of the most likely events possible. If you read the FoxNews report, it actually is almost exactly the same was most of the wire reports we’ve seen so far, so no new data that would suggest the volcano going “going nonlinear”. I think we have another fine example of what happens when the media gets a little bit of information and tries to spin it for more readers.